This is the tourist heart of Bordeaux’s old town, containing ancient cobbled lane-ways and an abundance of restaurants and bars. 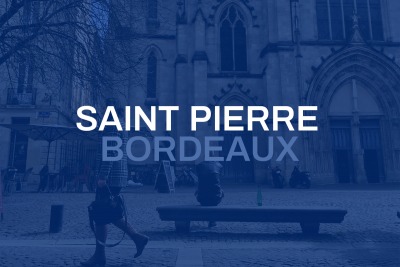 When the ancient city of Bordeaux was abandoned, the inhabitants took refuge on the site of the present district Saint-Pierre. They founded a port and as the city gradually returned to populate the city, the harbour became a neighbourhood and beautiful buildings began to emerge. Today, the walls steeped in history, but have retained their beauty, which are the pride of the residents of the neighbourhood and the admiration of tourists. Living in and around Saint-Pierre, you have everything on your doorstep with the rue Saint Catherine and rue Saint Remi only a matter of minutes away. If you live in this area, you really won’t need a car!